A room addition is a substantial investment that can substantially improve your family’s enjoyment of your Worcester home. In addition, it can add substantial value to your property. Before you embark upon a home addition project it is important to make several considerations. The professional room addition contractors in Worcester at LT Construction & Remodeling have provided the following guide to your home addition construction project. They have been providing the highest quality home addition services in the Worcester area since 1998. Their professional remodeling contractors can help you accomplish all of your goals during your room addition construction project. One reason people have poor experiences with room addition projects is that they fail to properly consider their budgets. If you are realistic about your budget, you will be far more likely to have a rewarding experience. By making an upfront assessment of what you can manage, you provide yourself with appropriate guidelines before embarking upon your room addition construction project. Having a reasonable estimate of how much you can spend on your room addition project also helps your contractor. If the remodeling contractor understands the amount of money that you all will be working with, they can provide you with the most accurate estimates as to how to best accomplish your remodeling goals at your Worcester home. After you have accurately estimated the amount of money that you want to spend on your room addition project, you should consult with an expert remodeling contractor. 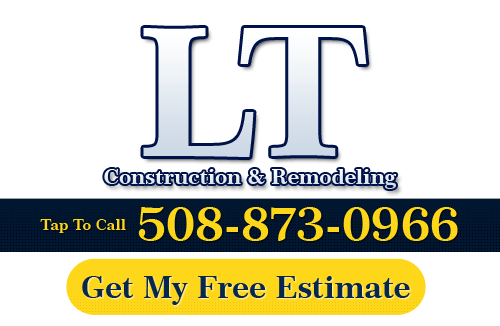 The professional Worcester remodeling contractor at LT Construction & Remodeling can provide you with expert advice as to how to achieve all of your construction goals. Their experts can assess the layout of your property and provide you with expert advice as to how to most efficiently and cost-effectively add onto your current property. The best part of any home addition project is the fact that you and your family get to customize this new living, work, or storage space to your unique needs. These opportunities do not present themselves often. As such, it is important to consider both your current and future needs. If you detail your prospective goals, you can ensure that you and your contractor can best fulfill every objective that you are seeking to accomplish. At LT Construction & Remodeling, their room addition construction team works with customers at every stage of the project. They understand that the success of a room addition project is dependent on your satisfaction. As such, they work their hardest to provide Worcester residents with the most customized and highest quality room addition services possible. If you are looking for a professional Worcester remodeling contractor, then please call us today at 508-873-0966 or complete our online request form.